The Modelling Infrastructure (MI) team at Standard Chartered has an open position for a typed functional programming developers, based in London. MI are a dev/ops-like team responsible for the continuous delivery, testing, tooling and general developer efficiency of the Haskell-based analytics package used by the bank. They work closely with other Haskell dev teams in the bank, providing developer tools, testing and automation on top of our git ecosystem. The role involves improving the ecosystem for developers and further automation of our build, testing and release infrastructure. You will work with devs in London, as part of the global MI team (based in Singapore and China). 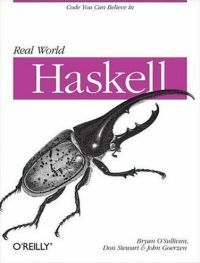 Development is primarily in Haskell. Knowledge of the Shake build system and Bake continuous integration system would be helpful. Strong git skills would be an advantage. Having a keen eye for analytics, data analysis and data-driven approaches to optimizing tooling and workflows is desirable. Experience writing typed APIs to external systems such as databases, web services, pub/sub platforms is very desirable. We like working code, so if you have Hackage or github libraries, we definitely want to see them. We also like StackOverflow answers, blog posts, academic papers, or other arenas where you can show broad FP ability. Demonstrated ability to write Haskell-based tooling around git systems would be a super useful. The role requires physical presence in London, either in our Basinghall or Old Street sites. Remote work is not an option. No financial background is required.Contracting-based positions are also possible if desired. More info about our development process is in the 2012 PADL keynote, and a 2013 HaskellCast interview. The Strats team at Standard Chartered has another three open positions for typed functional programming developers, based in London or Singapore. Strats are a specialized software engineering and quantitative analysis team who build a broad range of software for financial markets users at Standard Chartered. You will work on the trading floor, directly with traders, sales and risk managers, building software to automate their work and improve their efficiency. The focus of this role will be to build new tools and prototypes for the market risk team. You will use Haskell for almost all tasks: data analysis, market data publishing, database access, web services, desktop GUIs, large parallel tasks, quantitative models, solvers, everything. This is a fast paced role – code you write today will be deployed within hours to hundreds of users and has to work. These are permanent, associate director and director positions, in London and Singapore as part of the Strats global team. Demonstrated experience in typed FP (Haskell, OCaml, F# etc) is required. We have around 3 million lines of Haskell, and our own Haskell compiler. In this context we look for skill and taste in typed functional programming to capture and abstract over complex, messy systems. You would join a growing team of around 15 experienced Haskell developers. Experience writing typed APIs to external systems such as databases, web services, pub/sub platforms is very desirable. We like working code, so if you have Hackage or github libraries, we definitely want to see them. We also like StackOverflow answers, blog posts, academic papers, or other arenas where you can show broad FP ability. A PhD in computer science is a strong advantage. The role requires physical presence on the trading floor in Singapore or London. Remote work is not an option. You will have some project and client management skills — you will talk to users, understand their problems and then implement and deliver what they really need. No financial background is required. These positions have attractive remuneration for the right candidates. Relocation support will also be provided. Contracting-based positions are also possible if desired. Applicants who don’t necessarily meet all criteria but have an interest in working in Singapore in particular, and have an FP background, are encouraged to apply. The Strats team at Standard Chartered has six (6) open positions for typed functional programming developers, based in London and Singapore. Strats are a specialized software engineering and quantitative analysis team who build a broad range of software for financial markets users at Standard Chartered. You will work on the trading floor, directly with traders, building software to automate their work and improve their efficiency. The focus of these role will be on market pricing feed automation and algorithmic pricing. These are permanent, associate director and director positions, in London and Singapore as part of the Strats global team. Demonstrated experience in typed FP (Haskell, OCaml, F# etc) is required. We have around 3 million lines of Haskell, and our own Haskell compiler. In this context we look for skill and taste in typed functional programming to capture and abstract over complex, messy systems. The Strats team at Standard Chartered has three open positions for typed functional programming developers, based in London and Singapore. Strats are a specialized software engineering and quantitative analysis team who build a broad range of software for financial markets users at Standard Chartered. If this sounds exciting to you, please send your resume to me – donald.stewart <at> sc.com. The Strats team at Standard Chartered has two open positions for senior typed functional programming developers, based in Singapore. Strats are a specialized software engineering and quantitative analysis team who build a broad range of software for financial markets users at Standard Chartered. You will work on the trading floor, directly with traders, building software to automate their work and improve their efficiency. The role is highly development focused and you will use Haskell for almost all tasks: data analysis, market data publishing, database access, web services, desktop GUIs, large parallel tasks, quantitative models, solvers, everything. This is a fast paced role – code you write today will be deployed within hours to hundreds of users and has to work. These are permanent, director-level positions, in Singapore as part of the Strats global team. Demonstrated experience in typed FP (Haskell, OCaml, F# etc) is required. We have around 2.5 million lines of Haskell, and our own Haskell compiler. In this context we look for skill and taste in typed functional programming to capture and abstract over complex, messy systems. The role requires physical presence on the trading floor in Singapore. Remote work is not an option. You will have some project and client management skills — you will talk to users, understand their problems and then implement and deliver what they really need. No financial background is required. These director-level positions have attractive remuneration for the right candidates. Relocation support will also be provided. Contracting-based positions are also possible if desired. Applicants who don’t necessarily meet all criteria but have an interest in working in Singapore and have an FP background are encouraged to apply. The Strats team at Standard Chartered has an open position for a typed functional programming developer, based in London. Strats are a specialized software engineering and quantitative analysis team building software for financial markets users. This is a permanent position in London as part of the Strats global team. Demonstrated experience in typed FP (Haskell, OCaml, F# etc) is required. We have around 2.5 million lines of Haskell, and our own Haskell compiler. In this context we look for skill and taste in typed functional programming to capture and abstract over complex, messy systems. The role requires physical presence on the trading floor in London. Remote work is not an option. Ideally you have some project and client management skills — you will talk to users, understand their problems and then implement and deliver what they really need. No financial background is required. The Strats team at Standard Chartered has an open position for a typed functional programming developer, based in London.